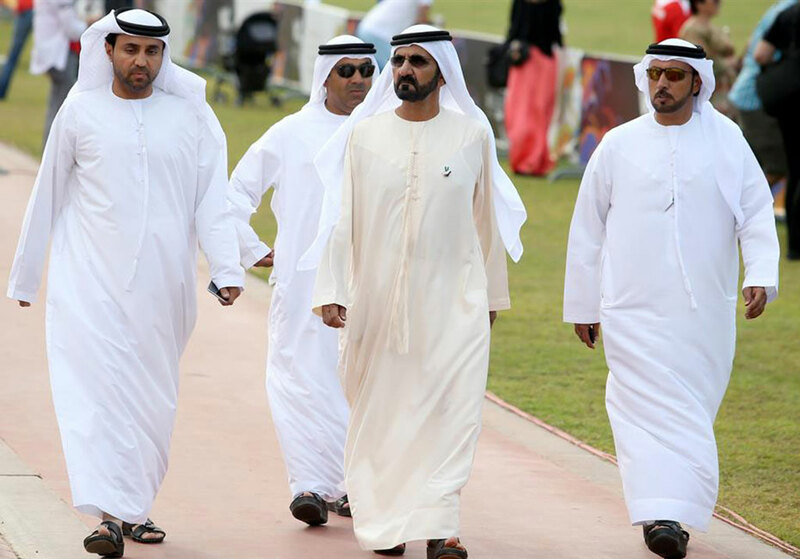 George Cotet, Olivier Masurel and Luca Bertossio were among the gold medallists at the end of the seventh day of competition at the 2015 FAI World Air Games being hosted at various locations in Dubai. 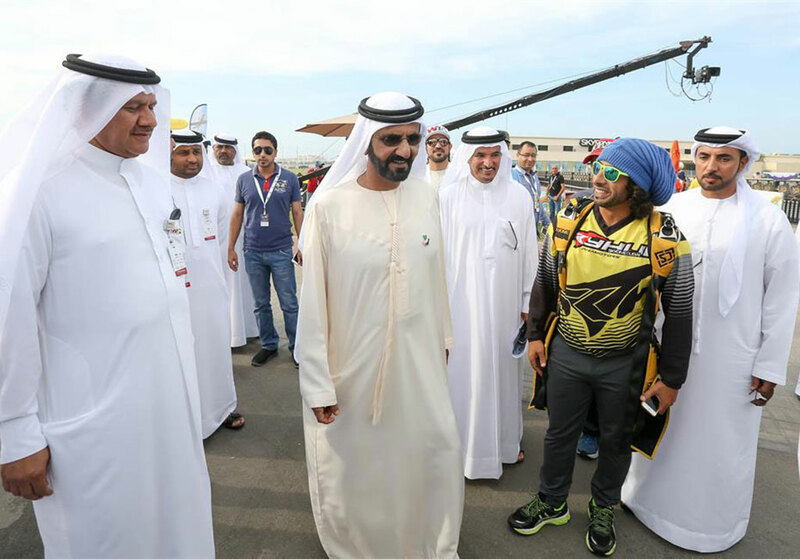 The highlight, however, was a surprise visit to the Skydive Dubai dropzone from His Highness Sheikh Mohammed Bin Rashid Al Maktoum, Vice President and Prime Minister of the UAE and Ruler of Dubai. 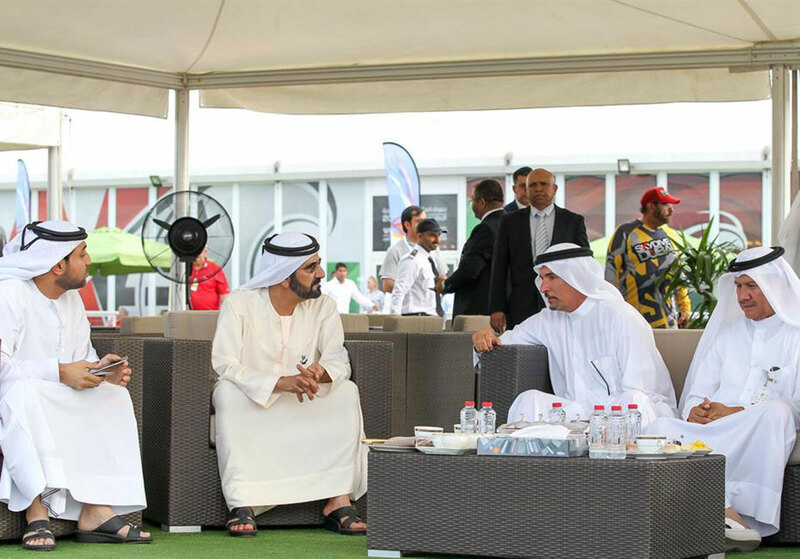 Sheikh Mohammed spent a considerable amount of time at the venue in the company of Saeed Hareb, Chairman of the Higher Organising Committee for the World Air Games and General Secretary of Dubai Sports Council and Yousuf Al Hammadi, the Championship Director for WAG. 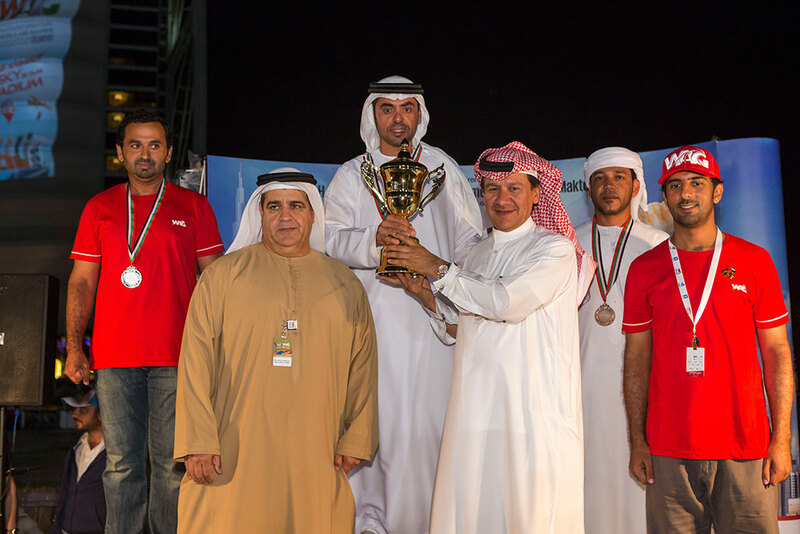 The day’s competition was dominated by countries from Europe with Olivier Masurel of France winning the gold medal in the Powered Aerobatics category, while Luca Bertossio clinched the gold medal in the Glider Aerobatics category. 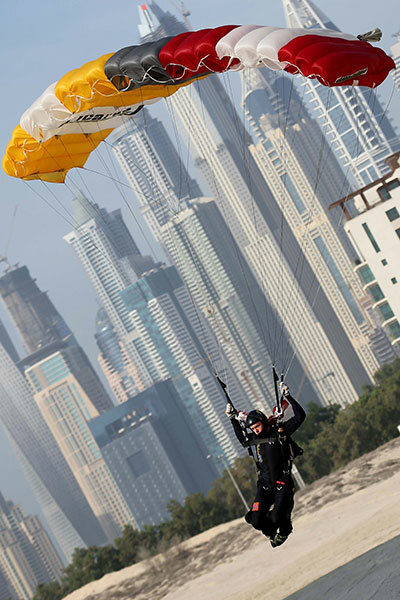 George Cotet continued his good work in the Paragliding Accuracy Landing category with the pilot from Romania finishing in first place ahead of Qiang Ma of China and Serbia’s Goran Djurkovic. 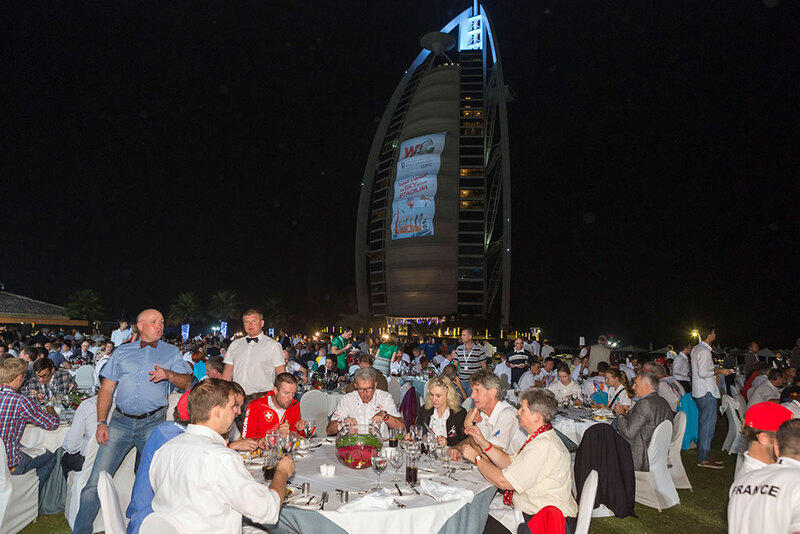 Nunnapat Phuchong of Thailand was placed tenth overall, but she took the top standing among all women competitors. Russia’s world champion Mikhail Mamistov did not have the best of competitions here as he ended way down while making place for Poland’s Artur Kielak to take the silver and American Rob Holland the bronze medals. 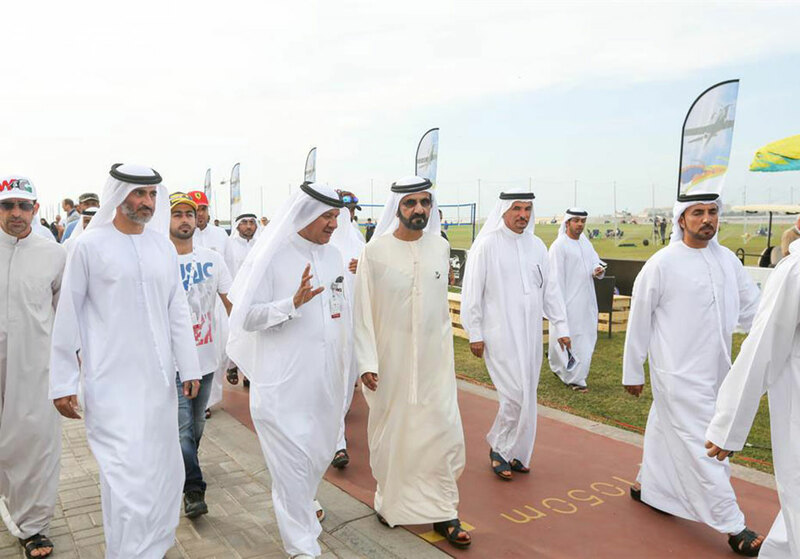 Held under the patronage of His Highness Sheikh Hamdan Bin Mohammed Bin Rashid Al Maktoum, Crown Prince of Dubai and Chairman of Dubai Sports Council, the fourth edition of the World Air Games is being held in 23 different disciplines at various dropzones in Dubai. 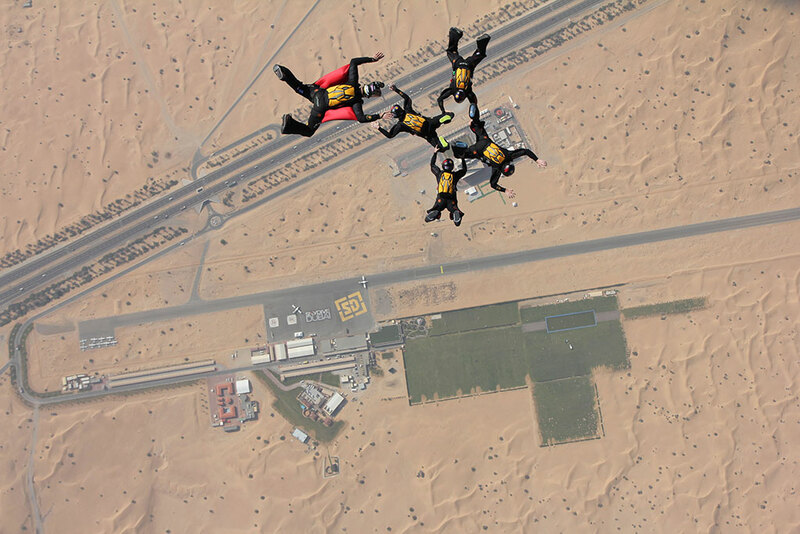 The main venue for the competition is the Skydive Dubai dropzone where activities will be held daily till the finals on December 12 (Saturday).